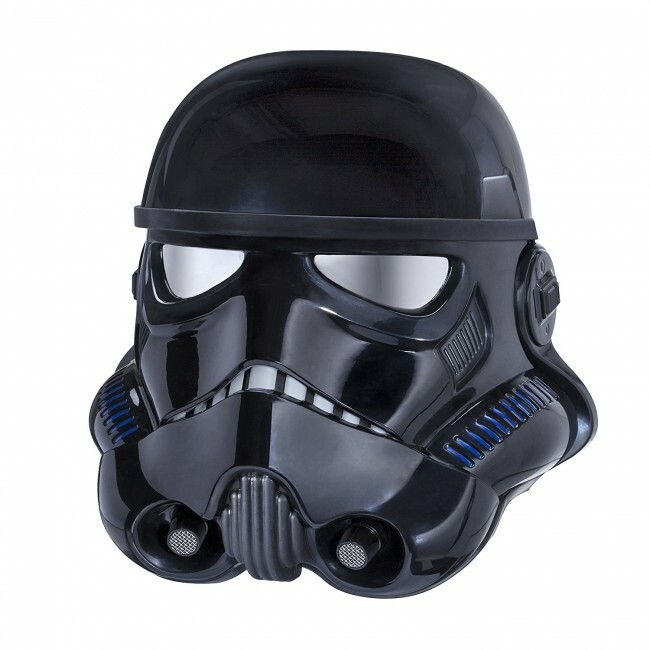 Build your Star Wars collection with this authentic and highly detailed Shadow Trooper Electronic Helmet that is a realistically detailed, video-game accurate reproduction of a Shadow Trooper helmet from Star Wars. Discover the exciting stories of good versus evil in a galaxy far, far away. With characteristic design, and realistic features across figures, vehicles, helmets, lightsabers and more, The Black Series embodies the quality and realism of the Star Wars saga that is loved by Star Wars devotees young and old. 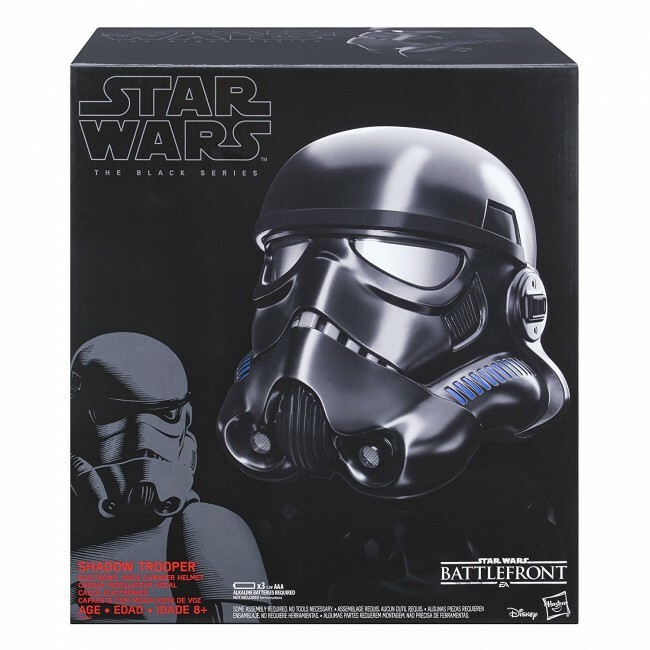 Collect this and other elite products from Star Wars The Black Series, and commemorate moments of battle from the world of Star Wars with this Shadow Trooper Electronic Helmet. Additional products sold separately. Star Wars products are produced by Hasbro under license from Lucasfilm Ltd. Hasbro and all related terms are trademarks of Hasbro. Jedi Knights, Sith Lords, Stormtroopers, X-Wings, Star Destroyers, AT-AT Walkers, droids, Wookiees, Rebel heroes, and more!